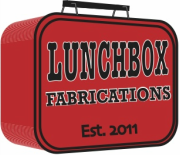 Lunchbox Fabrications is a small scale film production company located in beautiful Port Alberni, BC, Canada. We offer small scale film production services such as Music Videos, Engagement/Birth Films, Wedding/Memorial Slideshows, Promotional Films, and Wedding Films. Lunchbox Fabrications also continues to write, direct and our own narrative films.